Do you get all jealous of your friends that come back from vacation who have tans and say they just came back from an amazing cruise? Laying out in the sun all day, dancing the night away, unlimited food and getting to visit all those different ports. Well, you could be one of them and experience all that and more and make others jealous. Many people don't look into cruising, because it seems too expensive and luxurious, but there are many ways to save on a cruise. Sometimes, a travel agent that specializes in cruising can save you big bucks and also get you a better cabin and a refund if the price goes down. If you don't want to go through an agent, then there are plenty of things you can do to get a decent deal. First, why don't you take a moment to join Shereen Travels Cheap on Facebook? We're very close to giving away some lovely Travelon Bags to two lucky fans. Aside from that, you can get more travel deals, budget tips and website/product suggestions. And if you have a comment or a question, you can get a quick answer from me by posting on the group wall. Perhaps Twitter is more your speed, because you like your information short and sweet? You can follow @shereentrvlschp and get the same tips, deals and suggestions as on Facebook. We don't currently have a giveaway going on Twitter right now. When you find a great deal on a cruise, don't forget that the price you see is not the price you pay. You still need to pay taxes and port fees. Depending on where you are going, how long your cruise is and how many ports you dock at, your final price could be up to double the cost you see. Each port has it's own fee and the government of the country sets the fee, so they aren't the same each time you dock. These fees are charged per traveler, not per cabin, so this is something to look into before you see a good price and purchase it. Like what you see here? Please subscribe to Shereen Travels Cheap on the right sidebar. If you have a Kindle, you can subscribe to this blog via Amazon . If you DON'T have a Kindle, you can still subscribe via Amazon, by downloading the free Kindle Reading App for your preferred web-enabled device, like your iPad, Blackberry or Android. Then you can take Shereen Travels Cheap everywhere you go and get instant updates when new posts are published! Feel like if you sign up for my Facebook or Twitter feeds you'll probably miss a lot of posts? I understand. I have a lot going on on my own Facebook news feed and Twitter roll. Well, now you can catch up on hours of posts right from your email. Sign up for Nutshell Mail and you can choose your favorite posters (I hope I'm included!) and customize a newsletter for your Facebook and Twitter accounts. You can choose who you see posts from, how many of each and how often you receive your newsletter. You can get it once a day, three times a day, once a month or anything in between. You choose. It's totally personalized by you! Don't know how to pick a cabin or a ship or want to know more about the activities or read reviews? Check out Cruise Critic. I found that they have more information and are easier to navigate than the cruise websites. I hope you found these tips useful. Of course there are many more things you can do to save money on a cruise, which I hope you will be able to read soon in my book. Once I find an agent or a publisher (or decide to self-publish), you will all be the first to know! 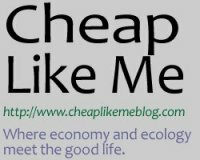 In the meantime, why not check out some of these other budget travel articles I've written for the following websites. And please also take a look around once you get there and finish reading, because they are truly helpful and pretty awesome. I hope there will be more added to the list soon, too.